click on red button and bid now! 1- All bidders must be registered in order to bid. See registration information for different bidding options. 2- All persons attending the Auction or removing goods assume all risk of damage or loss to persons or property. The Auctioneer, Seller, Landlord, Trustee and/or Agent shall be released from any and all liability. 3- All property is sold “As-Is, Where-Is”. ALL SALES ARE FINAL! All bidders are encouraged to inspect assets being sold during the preview on auction day from 8:00a.m.-10:00a.m. Once an item is “sold”, please do not ask us to remove it from your bill. At that time, subject to full and final payment, title of the property shall pass to the high bidder. The Auctioneer and Staff only provide information and descriptions to be used as guidelines with no guarantee as to accuracy. 4- Full payment required by Friday, December 7, 2018 at 3:00p.m. 5- Nothing can be removed during the Auction. Check-Out times are Friday, December 7, 2018, Monday, December 10, 2018 and Tuesday, December 11, 2018 (8:00a.m. to 4:00p.m. by appointment). Final removal required by Tuesday, December 11, 2018 at 4:00 p.m., any purchases not removed by this date and time will accrue a minimum storage charge of $50 per lot per day. Total responsibility for removal of purchases is that of the Purchaser, financially and physically. The Auctioneer cannot be responsible or liable for any moving, on or off-site. Purchasers must supply their own equipment, boxes and labor as applicable for removal. Please contact a local shipping company (i.e. The UPS Store, etc.) for shipping. STAMPLER AUCTIONS WILL NOT HANDLE SHIPPING, PACKING OR MOVING OF ANY PURCHASES. Please make arrangements with third party shippers in advance, if applicable. 6- The Auctioneer reserves the right to group, break or withdraw lots. The Auctioneer shall have absolute discretion in case of a disputed lot and reserves the right to reopen the bidding on such disputed lots. 7- Any person who bids in bad faith or disrupts the Auction may be restricted from bidding and/or required to leave the Auction site. 8- The Auctioneer, at their sole discretion, may reject any nominal or fractional bid advances in order to maintain the flow of the Auction. 9- Any and all Bidders and/or Sellers have the right to protected identities during the auction, if so desired. 10- All items are sold by the piece times the bid price. Buyer must take entire lot and pay for overages or be reimbursed for shortages, if applicable. No claims or shortages of any nature will be recognized after removal. 12- Any and all announcements made by the Auctioneer will take precedence over any previously printed or verbal statements, brochures, newspaper ads, etc. On-site bidding in Fort Lauderdale, FL (Cash / Cashier’s Check / Wire Transfer ONLY) – 15% Buyer’s Premium. On-line bidding (Cash / Cashier’s Check / Wire Transfer ONLY) – 20% Buyer’s Premium. 15- Applicable Sales Tax (6%) will be added to all purchases, unless the purchaser has a valid resale certificate and is purchasing for resale or export with proper documentation. 16- Nothing leaves the Auction premises without payment in full. 17- See additional Terms & Conditions for Vehicle purchases. 1- All bidders must be registered in order to bid. A minimum deposit of $1,000 per vehicle is required ($5,000 deposit required for vehicles over $10,000), in cash or equivalent. For online bidding, you must be pre-registered at Bidspotter.com in order to bid. 2- All deposits are non-refundable and non-transferrable. 3- The auction firm, at its sole discretion may transfer all or part of a deposit. On multiple purchases, all deposits are held and credited towards final vehicle payment. 4- All vehicles are sold free & clear with guaranteed title, unless otherwise stated. 5- There is no guarantee on mileage. On-site bidding in Fort Lauderdale, Florida – 15% Buyer’s Premium. 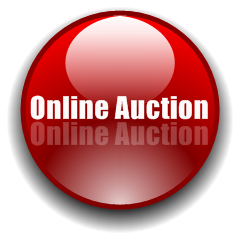 On-line bidding – 20% Buyer’s Premium. 7- Dealer Service Fee of $195.00 will be added to all purchases. 8- Applicable Sales Tax will be added to all purchases based on county of registration, unless the purchaser has a valid resale certificate and dealer license. (Miami-Dade County 7% / Broward County 6% / Palm Beach County 7%) Out of state buyers will pay local sales tax amount up to 6% as per Florida DMV rules. 9- Buyer’s Premium, Dealer Service Fee, Sales Tax and Transfer Fees are the sole responsibility of the purchaser. Such fees will be paid directly to Stampler Auctions / Auctions on Wheels. Dealers must present copies of current dealer license and resale certificate prior to payment / removal of vehicle. 10- No personal or company checks. No credit cards. No debit cards. 11- Nothing leaves the Auction premises without payment in full. All bidders must register and obtain a paddle. A minimum deposit of 50% or $100, whichever is greater, is required upon your first purchase, in cash or equivalent. The Auctioneer and/or Bookkeeper reserve the right to collect additional deposits with additional purchases throughout the Auction. The Auctioneer will maintain a minimum of a 25% deposit of total purchases at all times. A minimum deposit of $1,000 per vehicle is required ($5,000 deposit required for vehicles over $10,000). All bidders must pre-register to bid at bidspotter.com. Stampler Auctions highly recommends registering no later than Wednesday, December 5, 2018. Bidders must fill out a credit card authorization form (available at Stampler Auctions website) in order to be approved for bidding. Minimum authorization amount is $500. Bidding will be limited to four times your authorization amount. Purchases will NOT be automatically charged to the credit card. CREDIT CARD AUTHORIZATIONS ARE ONLY UTILIZED TO VALIDATE BIDDER REGISTRATION. Payment for purchase(s) is due within one business day (December 7, 2018) at noon by cash, cashier’s check or wire transfer. Should payment not be received by the deadline, Stampler Auctions will process the card authorized up to the total amount of the purchase or the authorization. Buyer is still subject to all terms and conditions of the auction.